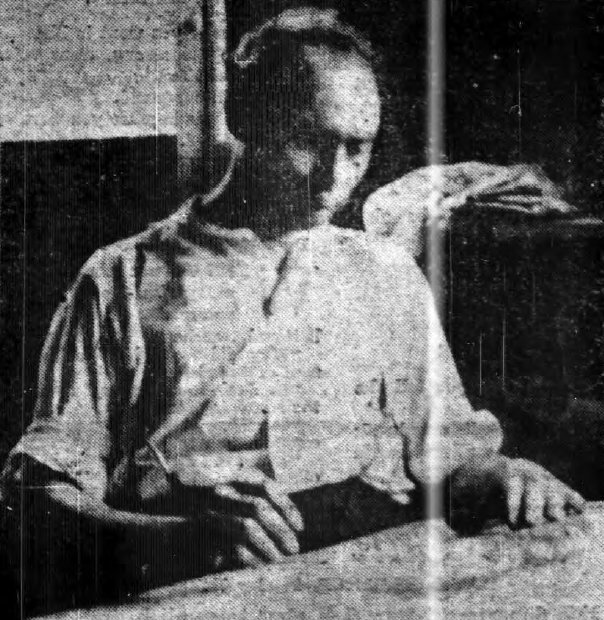 New York Call, July 28, 1915. Robert Berkeley “Fighting Bob” Minor was born in the shadow of the Alamo at San Antonio, Texas on July 16, 1884, and died in 1952. 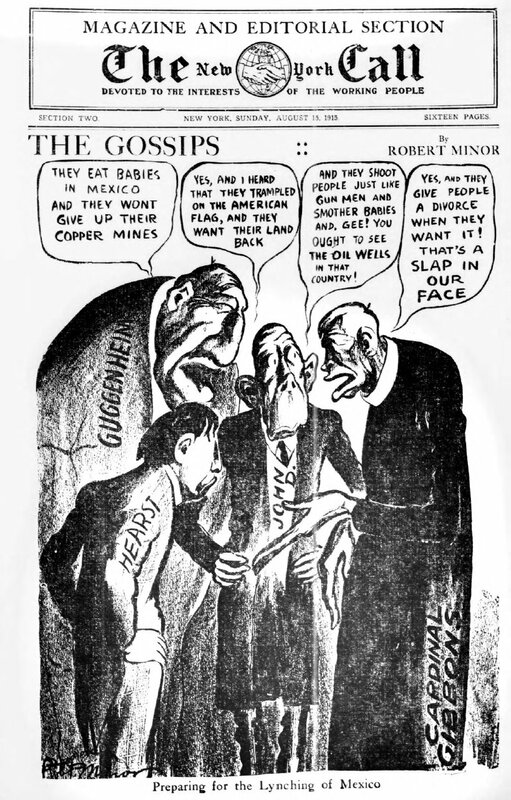 He began his newspaper career on the San Antonio Gazette before moving to the St. Louis Post-Dispatch where he occupied his time with morgue drawings and daily cartoons using a blunt grease crayon on textured paper. 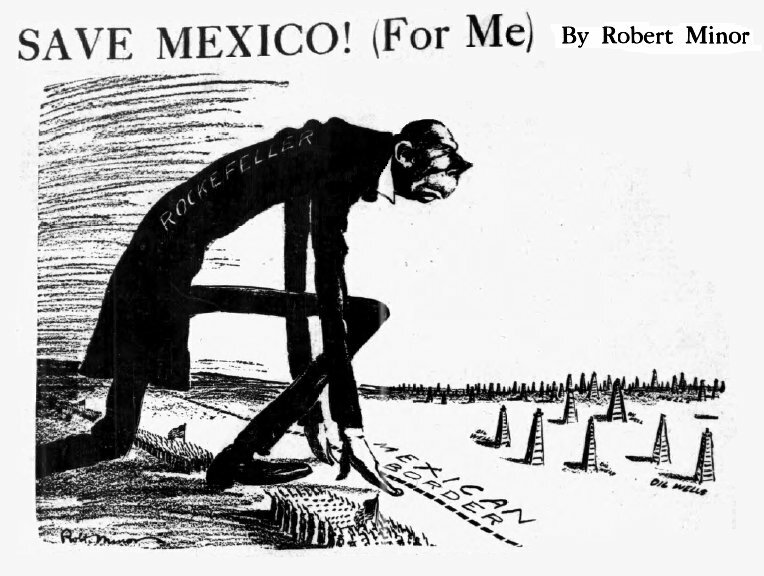 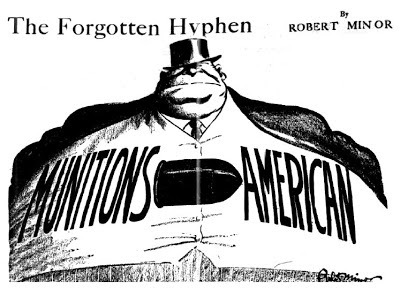 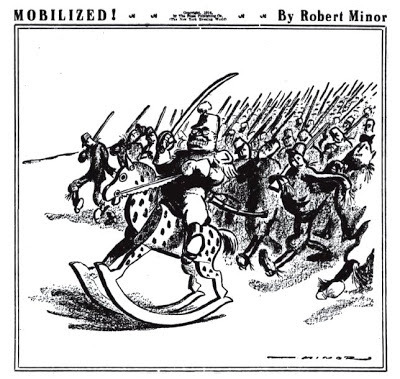 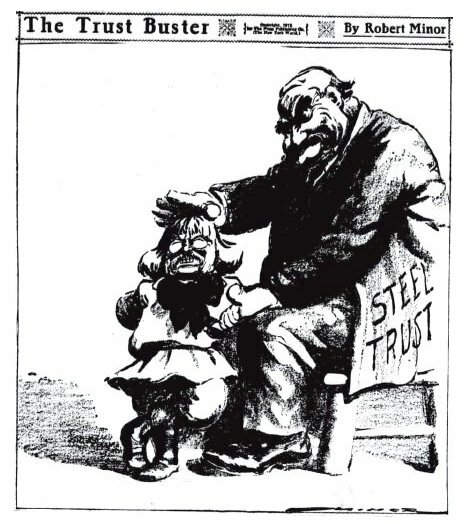 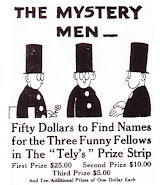 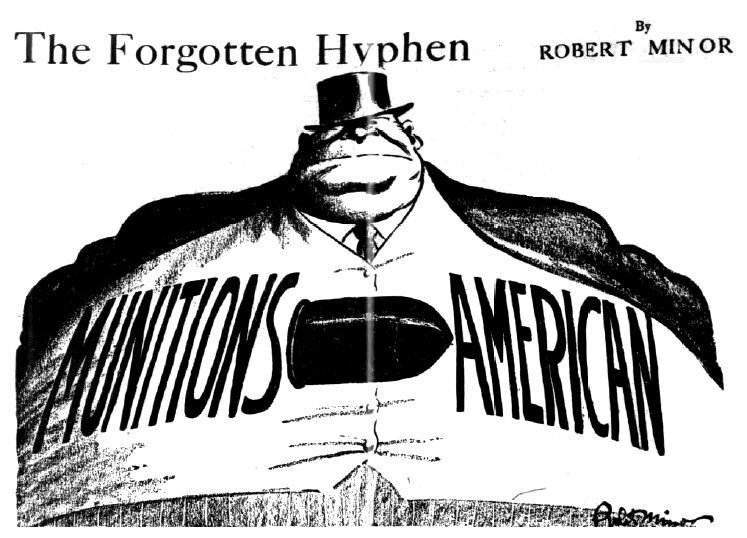 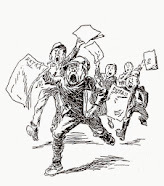 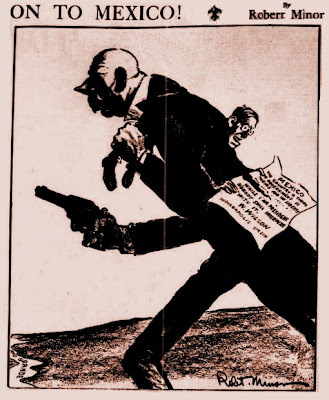 Next was the New York Evening World, until his anti-war cartoons led to dismissal in 1914. 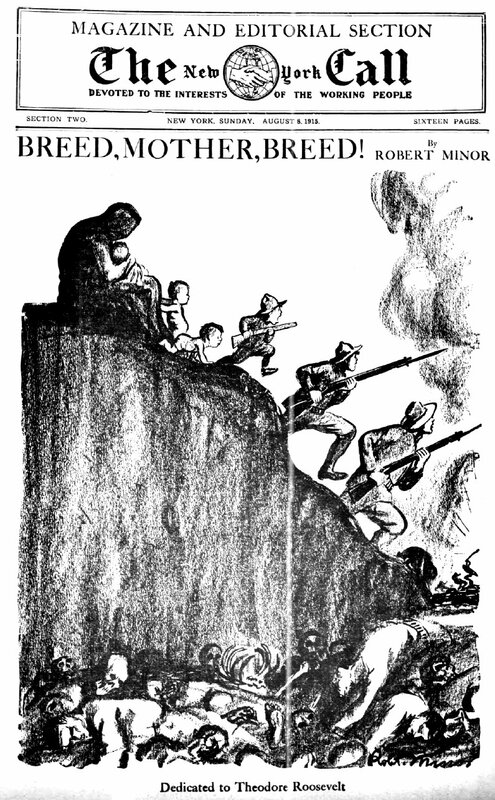 He then turned to the socialist press: Mother Earth, The Masses, and the New York Call. 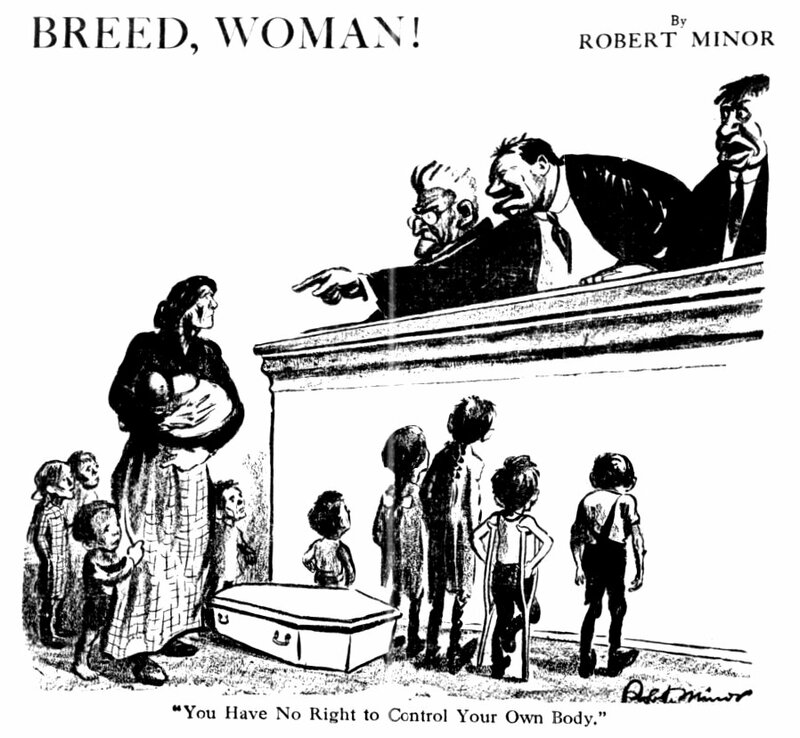 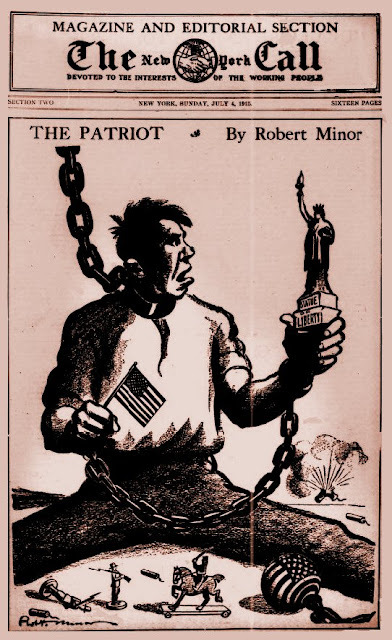 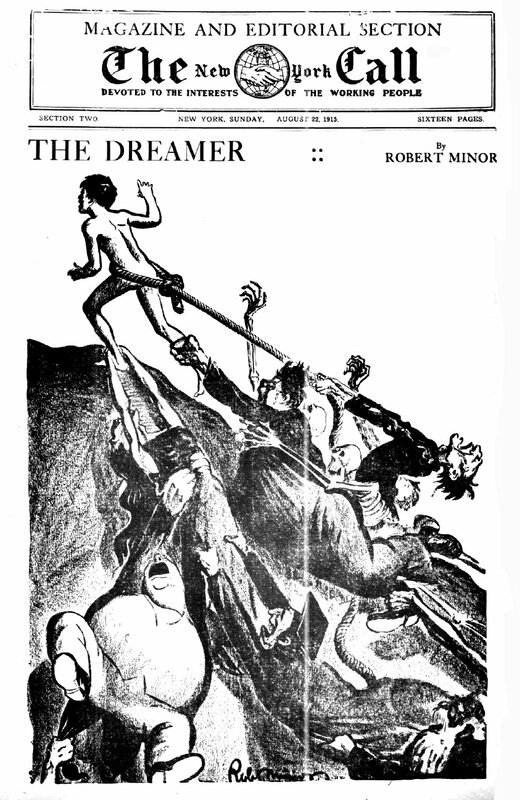 In 1920 Minor joined the Communist party and edited Liberator (1924) and the Daily Worker (1929 1937). His cartoons were so persuasive that during World War I many of his Call cartoons were republished in “respectable” newspapers like the World. 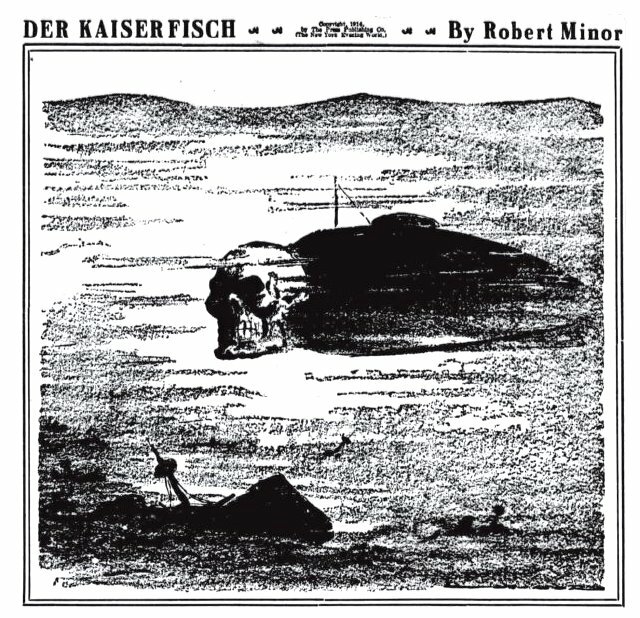 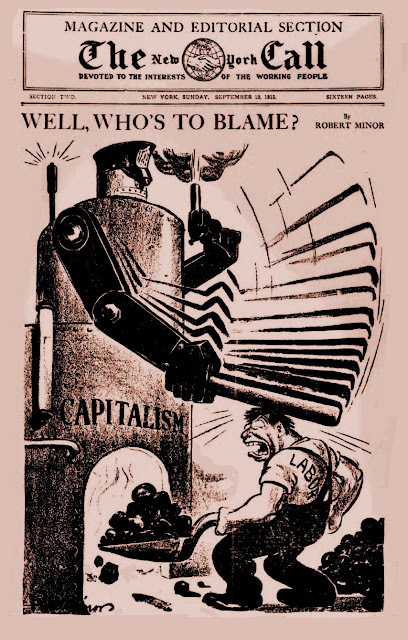 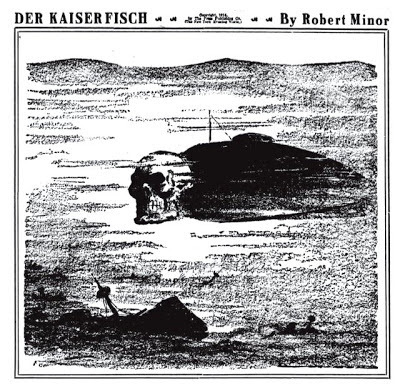 By removing his anti-capitalist captions the nonpartisan images masqueraded as anti-Kaiser sentiments. Rogue’s Gallery: Socialist Cartoons HERE.